In this chapter, netnography is presented as a useful method for studying the phenomenon of participatory AVT. As a specialized form of ethnography in the social spaces of online environments, netnography involves an active approach that seeks to engage and connect with members of a community that manifests itself through computer-mediated communications, with the aim to obtain a detailed and embedded understanding of the cultural meanings of that community. Utilizing this method, it is possible for us to identify, select, analyse and aggregate the particularities in networked forms of AVT performed by consumers, in order to gain first-hand and authentic insights into their collaborative consumption experiences. Such insights can be used as the basis for developing effective AVT services tailored to the real needs and expectations of media consumers. Through a reflexive account of the author’s netnographic fieldwork, this chapter examines strategies developed by the author to overcome methodological challenges encountered during her fieldwork, which mainly include defining the boundaries of a multi-sited community; building relationships with participants in virtual contexts; and using fieldwork tools to manage digital data. While the strategies developed by the author are in relation to her personal experience in an online community formed by Chinese fansubbers, these strategies could provide some useful clues for researchers who may find themselves in similar situations. 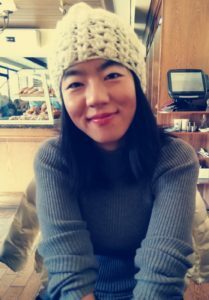 Dang LI is a Post-doctoral Research Fellow at the School of Foreign Languages, Shanghai Jiao Tong University, and a member of the Baker Centre for Translation and Intercultural Studies. She holds a PhD in Translation and Intercultural Studies from the University of Manchester. 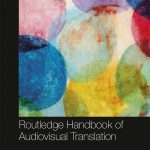 Her research interests lie mainly in audiovisual translation, non-professional subtitling, and corpus-based translation studies.